QUIET RIOT drummer Frankie Banali was interviewed on recent episode of the "Iron City Rocks" podcast. You can now listen to the chat using the audio player below. A couple of excerpts follow (transcribed by BLABBERMOUTH.NET). Frankie: "What happened is we had released a studio album in August of  called 'Road Rage' that [new QUIET RIOT frontman] James [Durbin] sang on. And the label we're on, Frontiers, which is an Italian rock label, they wanted to know if I'd be interested in having QUIET RIOT perform at their rock festival in Milan. And I agreed to it. And then they further asked would I be interested in recording the performance for a live CD, DVD and Blu-ray, which I agreed to, but with only one condition, and that condition was that it would be a true live album. In other words, I didn't want them to send me the files for me to go into the studio and redo guitar solos or fix background vocals or redo lead vocals. 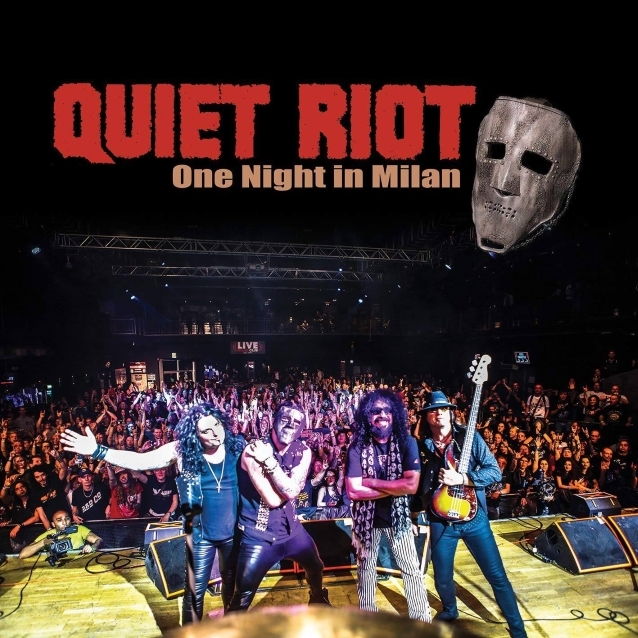 And this is one of the reasons I titled the record 'One Night In Milan', because that is exactly what you're getting — you're getting a real, true representation of QUIET RIOT live, without any fixes. And, to me, that's the way live records should be. The minute you take it into the studio and you fix anything — even if it's one thing — it ceases to be a live record by definition." Frankie: "It doesn't enter into my my decision, because my feeling is that a live record should be a live record. I have nothing against somebody else going in and fixing it. It's like putting on a lot of makeup — you wanna really put out your best face, so to speak. But QUIET RIOT is a touring band, QUIET RIOT has always been a live band, and I always say to all my guys, 'Let's go out there and play to the best of our abilities,' because no one is great every night on every song. But I just wanted it to be a true live record. And I know you're taking a chance. I know that if you have somebody that already doesn't like QUIET RIOT, they will seize the opportunity to point out all the little wrinkles in it, and that's fine. I really don't care about that. 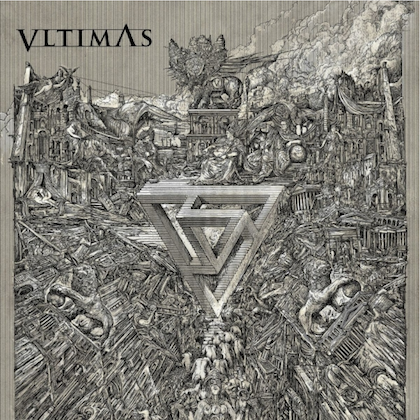 I wanted it to be a live record in every sense of the word. And, again, the minute you fix anything in the studio, it ceases to be a live record by definition. Sadly, a lot of people have been fixing live records for so long that live records have become a fix. But that's not the case with QUIET RIOT." Frankie: "I think one of the reasons I was excited about the possibility of having James in the band is because, more than anyone, I knew of the incredible vocal capabilities that Kevin DuBrow had — he had a ridiculously broad range. But he also loved being onstage; he was an amazing performer. So I already knew that James had the vocal range to be able to do justice to the QUIET RIOT material, and I also knew that he was a performer, which is part of what made QUIET RIOT QUIET RIOT — Kevin's vocals and Kevin's performance. So I couldn't be happier with the way things are going with this lineup. And James is starting his [third] year with us, so… so far, so good." Frankie: "Here's the thing. With me, I'm a brutally honest person, whether you like what I say or you like what I do or you don't. And, again, going with the thread of the live QUIET RIOT record, 'One Night In Milan', not having any fixes, the movie was the same way. The director, Regina Russell, the deal that I made with her is I said, 'Listen, as long as you and your crew don't get in my way, you can film anything that you want, and I'm not gonna use any veto powers to take anything out of the film. I want it to be honest.' And I actually didn't see… After the first month of filming — and this went on for quite a while — I stopped looking at anything, and I actually didn't see the film until it was completed and delivered. And there's things in there that make me incredibly uncomfortable, there's things in there that make me laugh, and there's things in there that make me literally cry. But it's an honest story, and nothing was sugarcoated, nothing was changed to make anyone look better or worse by any stretch of the imagination. And I think what it did, it gave the fans… I'm a music fan, so I used to have the same view, before I became a professional musician, about the bands that I liked — what their lives must have been like and what their daily things are. But once I became a professional musician, and after decades of doing so, I realized that that is far different than what you can imagine. And I think the same thing happened with fans, because they thought that we were all living these wonderful lives in these huge houses, driving these amazing cars, and every night was a party. And it really, really isn't — it's a completely different situation. We've had an incredible amount of successes and we've had an incredible amount of heartbreaks along the way. And I think that after seeing the film and how honest the film is, [the fans say], 'I really didn't know that. I didn't take into account this or that.' 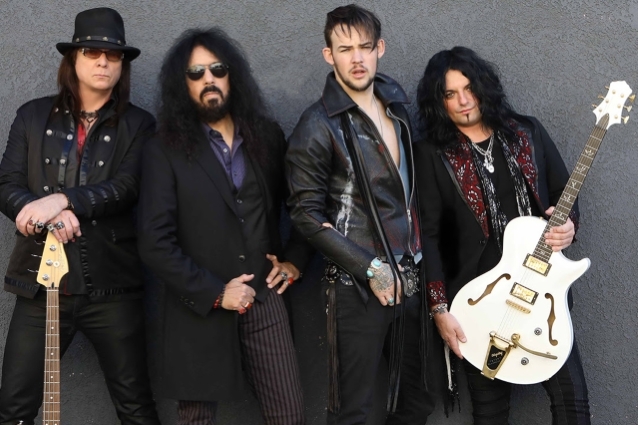 And I think they have a better understanding not just of QUIET RIOT, but a better understanding of what it's like to be a musician, to be in this business, and especially during the '80s and then the decline of that genre of music."